So this past weekend marked the fourth hotel I’ve stayed in within 30 days. AND I’m gearing up for another trip for work at the end of the month. All this traveling can put quite a damper on the health goals one has, but honestly– I think that’s where your true motivation and commitment is revealed. Sure, there’s nothing inherently wrong with the 80/20 rule of eating (ie. keep on track 80% of the time and be lenient for the other 20% when you make the conscious decision to eat other foods). But if your healthy eating isn’t a true lifestyle, then you’ll find yourself struggling even more and pretty soon that 20% turns into 65 or 75%. My last work trip two weekends ago had the BEST food. It was seriously like a cruise ship buffet. And yet, I found a way to enjoy the deliciousness without going crazy or feeling guilty. Like a dork…I took pictures to show you all. 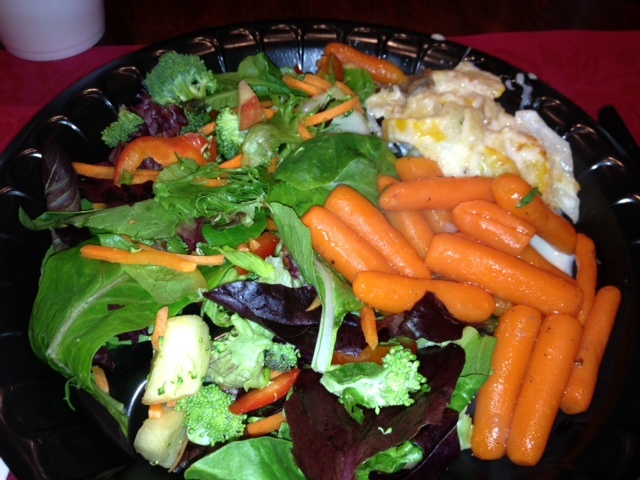 I decided the main principle I would follow was having at least– if not the majority– of my plate be vegetables. Below are two of the dinners I got to have. The other choices that came with it were potatoes, rice and oh…other meats. Yeah…you could have salmon AND prime rib and then the next night it was chicken AND pork. I stuck to one small serving of non-red meat. Salmon with salad and sauteed zucchini? Yes, please! 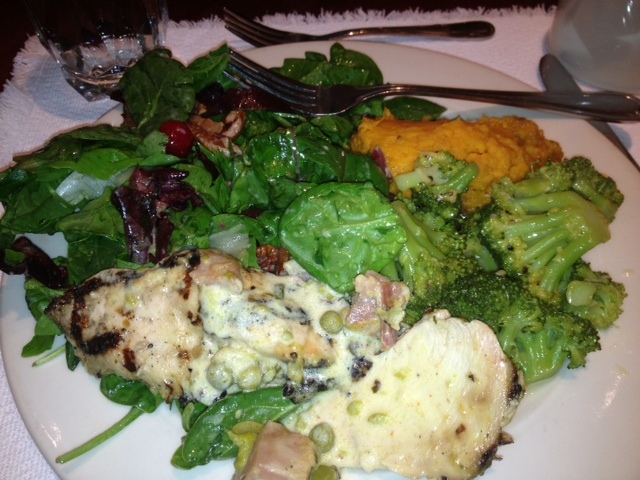 Chicken breast with salad, sweet potatoes and broccoli! Why not make a meal of sides? Salad, roasted carrots, and squash au gratin. Very very filling. I followed a similar principle this last weekend for my brother’s rehearsal dinner. We had the best Italian food I’ve ever had at a catered event. Usually it pales in comparison to what we grow up with but this was superb. 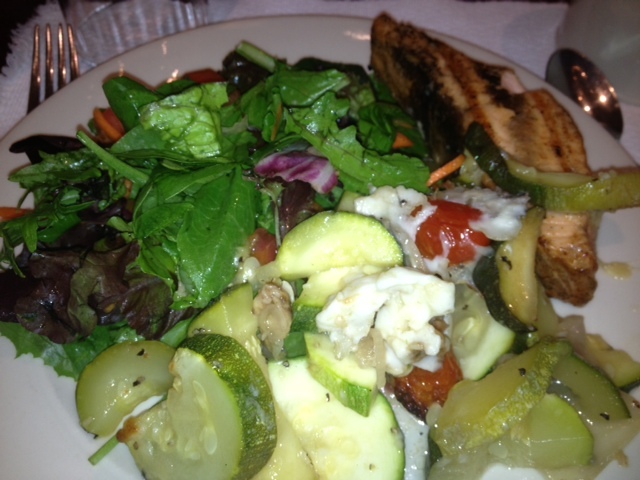 I had grilled chicken with some tomato sauce, salad and tons of sauteed Italian vegetables. To die for. But at the actual wedding, I decided to just indulge. After all, it was my brother’s only wedding and also I hadn’t really gotten to eat since breakfast (you know how bridesmaid duties are). My husband and I also took out my brother and his beautiful bride on a pre-wedding date the day before to aid in keeping them stress free. 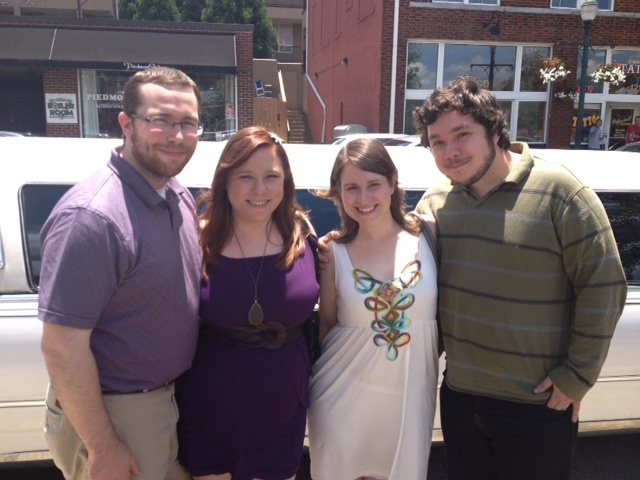 We took them out on the town for lunch in a limo and some other cool places. I got to wear a short little dress I haven’t worn since 2010 (though it was definitely shorter than I remembered. I may be adding some kind of lace trim to that next time..). But it was great to wear something I hadn’t felt comfortable in since three years ago! 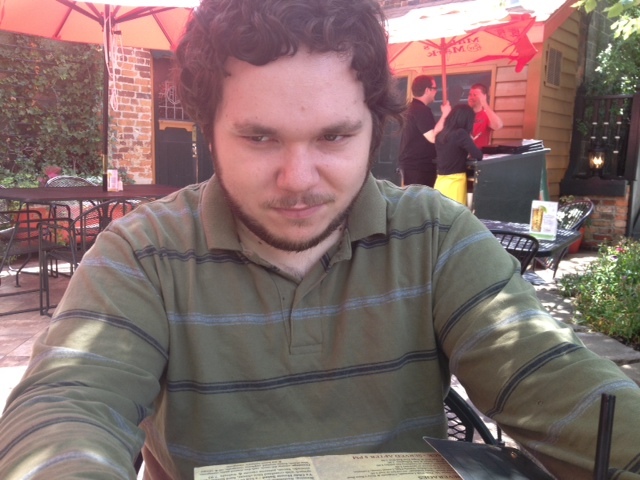 Oh and totally random…but this is the face my brother made when I told him how the Hubs and I are now sticking with delicious mashed cauliflower from now on (with the exception of special occasions like Thanksgiving). And on that note, I hope you all have a great week! I’ll try to take advantage of being home to blog more often before I go on my next work trip!